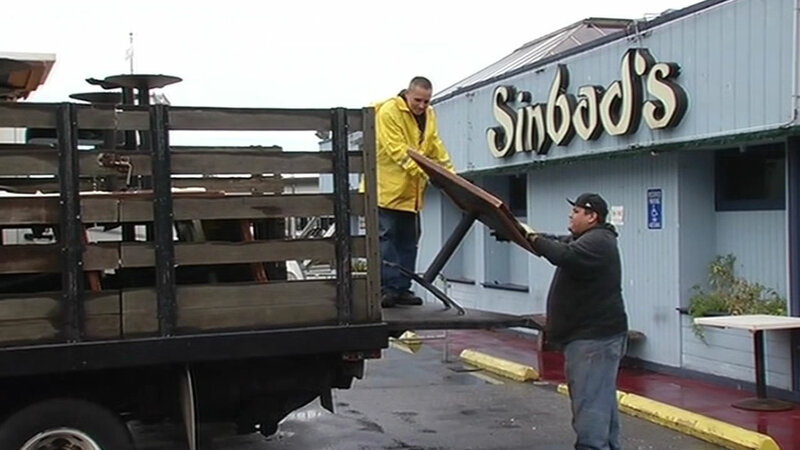 SAN FRANCISCO (KGO) -- Tuesday was moving day at Sinbad's. Crews began removing furniture and other items from the restaurant and bar that overlooked the San Francisco waterfront for 40 years. The operators of the restaurant, the three Stinson brothers, tried various legal maneuvers, but were unsuccessful. Sinbad's finally closed at midnight, following an eviction process and legal battle that lasted months. The restaurant will be replaced with an expanded ferry terminal and a public park.